Hi and welcome back to “Our Community Kitchen”. If a friend forwarded this newsletter to you and you would like to receive Our Community Kitchen newsletters, click here to subscribe. The holidays are already upon us! And it’s time to give thanks for all we have and all we hold dear. 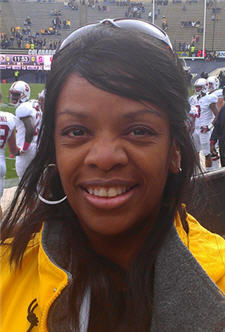 At Ask Dr Garland we’re thankful for YOU, our faithful customers, who have made it your personal goal to eat healthier. We have a funny Thanksgiving story to share with you, as well as fantastic plant-strong recipes and several handy tips for cooking and baking plant-strong. Do any of you enjoy Thanksgiving as much as I do? This is my favorite time of the year! Time for cooking, spending precious time with family, friends, watching football games, playing board games and eating all the delicious foods which we’ve waited 364 days to enjoy. No other holiday is so centrally based around food. You can eat healthy over the holiday season without giving up great taste and packing on the pounds. The holidays are about celebration, not deprivation. With planning and preparation there’s no need to give up delicious eats. If you are new to plant-strong lifestyle…don’t worry we will get through this together. Relax! Breathe! You can have an amazing holiday feast and eat vegetarian, all at the same time! We would like to assist you with making a great meal that’s healthy and tasty for you and your family! Creating new food traditions now will hopefully propel your family to carry them on for generations to come. Whether you believe it or not, most of our loved ones are not even aware we’ve used healthy alternatives while creating their favorite dishes. If we don’t say anything they won’t know.! It tickles me to hear people “oohhhh” and “aahhh” over something I’ve made. Then, when they learn what it was you hear, “I never thought it would taste so good”. I generally wait until my friends or family have had seconds before I disclose the ingredients! One of the most valuable lessons I’ve learned from the two generations before me is no matter what you cook, season your food to enhance the flavors. It makes a difference to all dishes. Remember… no one likes the taste of cardboard. What’s your family’s favorite Thanksgiving recipe? Send it to us and let us turn it into a fabulous healthier version. Do you have a favorite Thanksgiving tradition? We would love to hear your stories. What if I said you could be High School Skinny by Christmas? That you could finally get rid of those unwanted pounds of flab and fat once and for all – without radical dieting or exhausting exercise everyday? I’m going out on a limb here, but I believe this giant discovery that has the weight loss industry and even Dr. Oz excited and raving about it is practically guaranteed to make you lose weight! What is this amazing stuff? 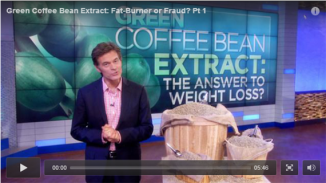 The entire diet world is absolutely going crazy about green coffee bean extract! No, it’s not a high-caffeine drink. But it does come from the same coffee bean roasted and brewed for your favorite cup of joe. You see, when you roast coffee beans at high temperature, the process removes the bitter taste, but it also destroys Chlorogenic Acid, an amazing natural compound found in coffee fruit that works like MAGIC in inhibiting the absorption of glucose (sugar) into the bloodstream, while at the same time boosting the release of stored fat to be burned for energy. But wait, I know what you are thinking – if I take green coffee extract, I’ll be wired-up and jittery from all the caffeine. Fortunately 98% the caffeine is removed during the extraction process, leaving behind powerful polyphenols (antioxidants) and Chlorogenic Acid for rapid weight loss! If a sensible diet and daily exercise still leave you with stubborn pounds and inches to lose, green coffee bean extract just might be the answer to your prayers! Recently Dr. Oz conducted an informal study with volunteers from his studio audience to determine if green coffee bean extract really worked. He selected 100 women between the ages of 35-49 with a Body Mass Index (a measure of fat based upon height and weight) of 25-45. In order to be considered for the project, the women could not be pregnant or breastfeeding, have diabetes, or a history of heart attack or stroke. Click here to launch the video in a new window. 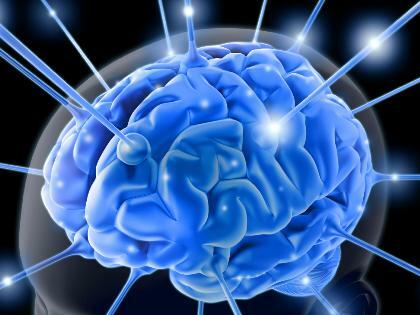 We’ve discovered not one, but 3 brain anti-aging “magic bullets”. Just one of these compounds can turn back the hands of time inside your head. We’ve combined all three incredible natural compounds into our new & improved Mind Power formula, as well as a veritable smorgasbord of brain-smart nutrients to create what I call the “Einstein Pill”. With early-onset Alzheimer’s and dementia both now at epidemic levels, this latest breakthrough from our research team heralds a truly groundbreaking means of keeping your mind young, functioning clearly and remembering things just like when you were a teenager. If your Brain “goes”, everything goes! While every single organ in our body is essential to life, without our brain, none of our other organs will function. The brain is our body’s personal computer. It actually “thinks” for us, an invisible action, but one with the power of Infinity itself in its capacity. And while we don’t mind putting on extra pounds as we age or putting up with wrinkles, none of us wants to have an old and feeble brain. In fact, the most feared aspect of aging in research studies of every age group in the population, is losing our ability to think and coming down with Alzheimer’s or early-onset dementia. A report from Australia hit my desk that said an unknown substance had been found to reverse aging in brain cells!